Top 100 peaks until December 2010: Ryan, Gavin (2011). 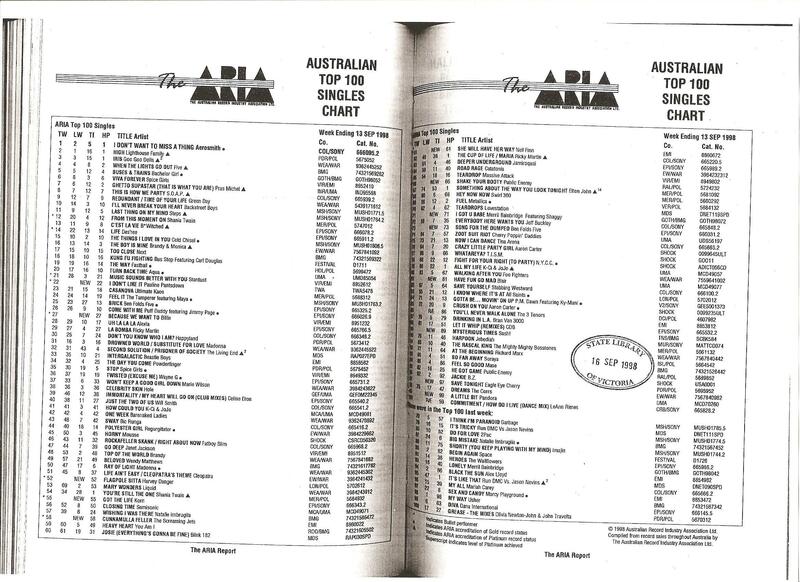 Australia's Music Charts 1988–2010. Mt. Martha, VIC, Australia: Moonlight Publishing. 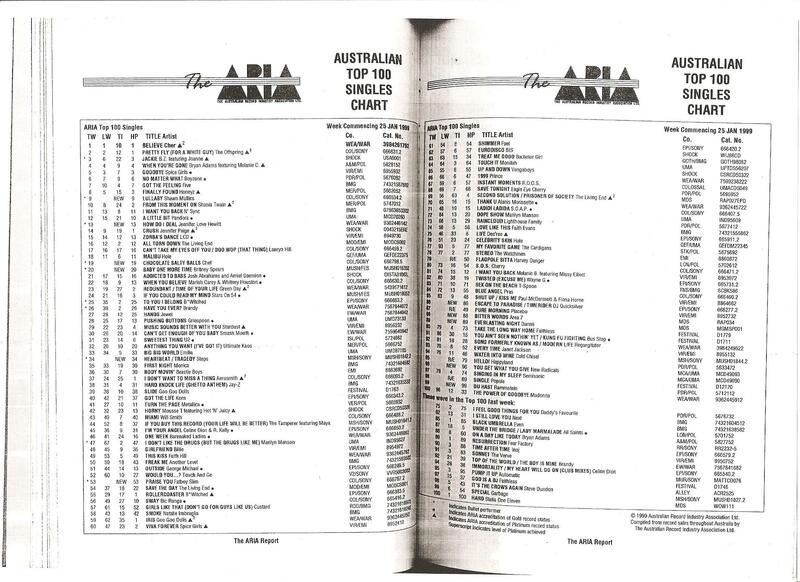 Top 100 peaks: “Official Charts > Garbage”. 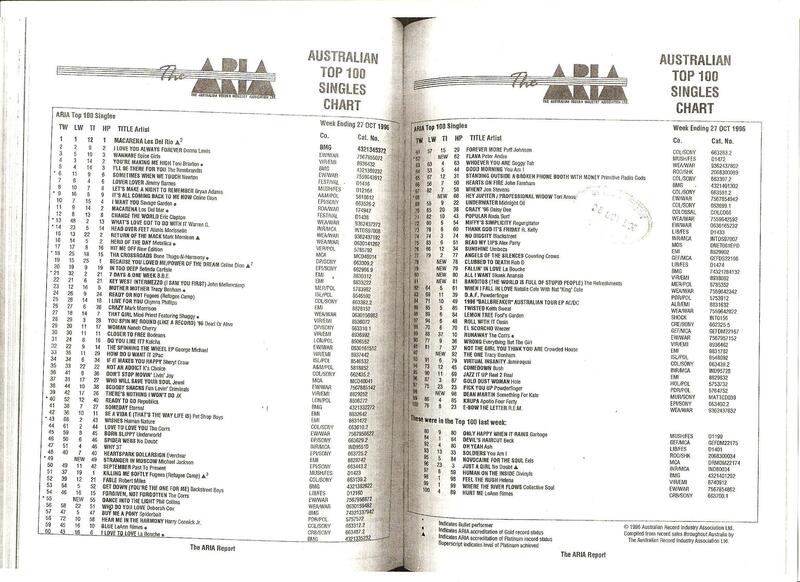 Official Charts Company. 2016年6月2日閲覧。 N.B. 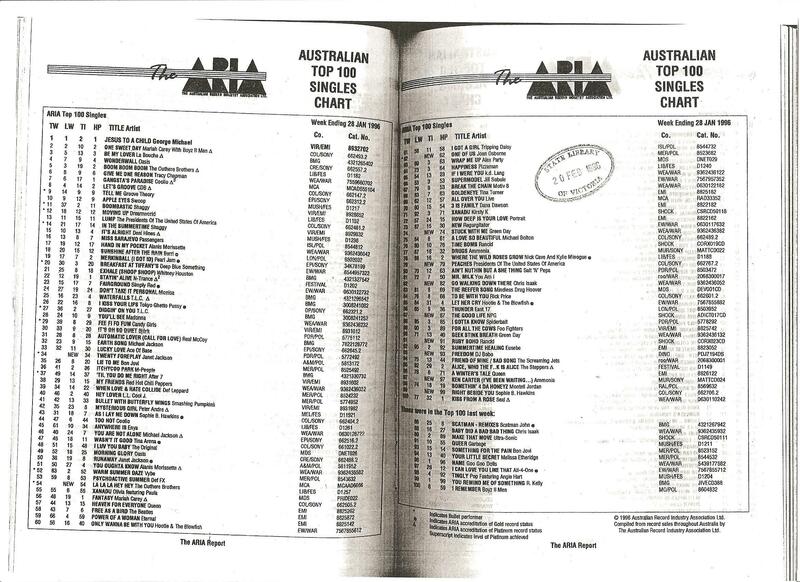 This site displays compressed chart peaks between numbers 76–100, with exclusion rules applied. ^ BMG Re-signs Mushroom. Billboard (reproduced on Google Books). (1997-02-15). http://books.google.co.uk/books?id=FA8EAAAAMBAJ&lpg=PA51&dq=garbage%20spain&pg=PA51#v=onepage&q=garbage%20spain&f=false 2013年5月1日閲覧。.